Today on homify 360°, we delve into your typical friendly suburb where a not-so-typical house serves as our discovery. 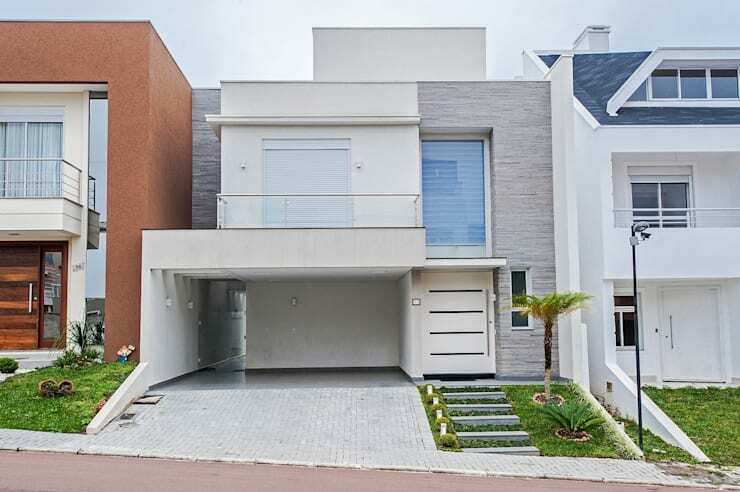 Set in Parana, Brazil, this house flaunts a very luxurious look that makes a very modern statement about style and design. 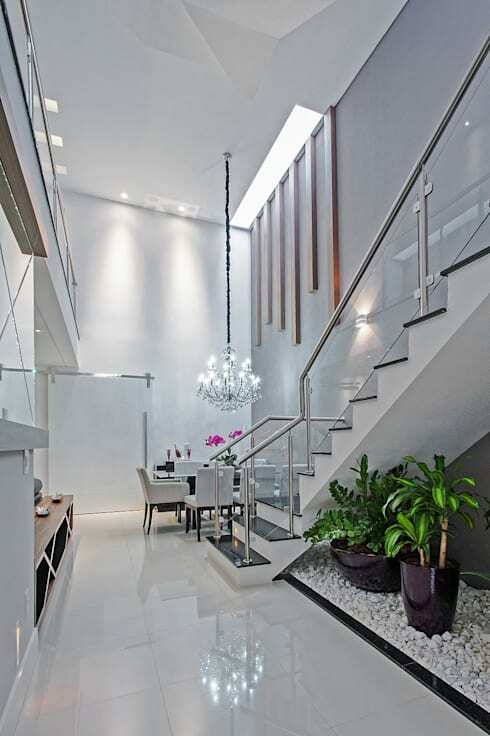 With a combination of lavish materials and extremely modern design, this residence is the perfect spot for the family who likes to fill their lifestyle with luxury. The front facade of the house which faces the street already greets us with a glamorous look. Grey stone surfaces, glass railings with a chrome frame, and a contemporary front door set in a crisp white colour – what more is needed to grab our attention? All of these features, and more, help to give the facade a simple yet ultra stylish look that is enhanced by the supreme details of the surfaces. Don’t those whites and greys just go so fantastically together? A touch of monochrome and an abundance of white space transform an ordinary entryway into a glamorous welcome. We all know the magic that marble brings to any area, and here it proves once again how calming and elegant it can look when paired with the correct materials. 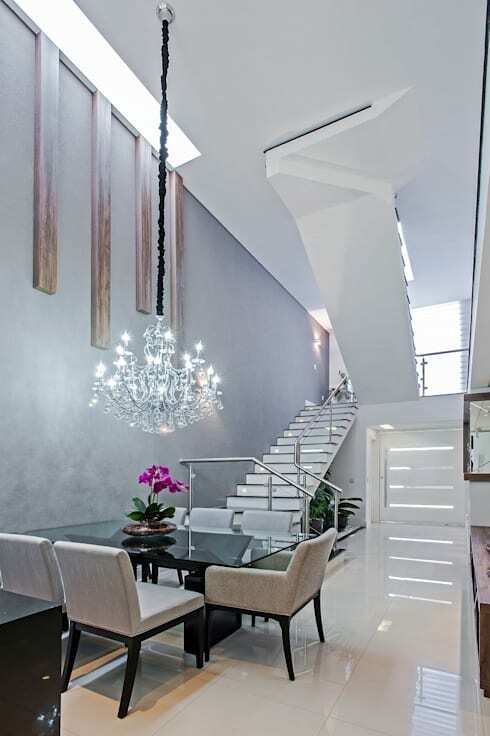 Two main things stand out for us in this space: the impossibly high ceiling that lends a look of decadence to this suburban home, and the striking stone garden that embellishes the space underneath the staircase. Once we enter the living room, the colour palette takes a dramatic turn. Chic and sleek whites are combined with earthy and warm tones that adorn numerous surfaces of leather and wood. But the look of elegance still reigns supreme, regardless of the additional rustic touches. 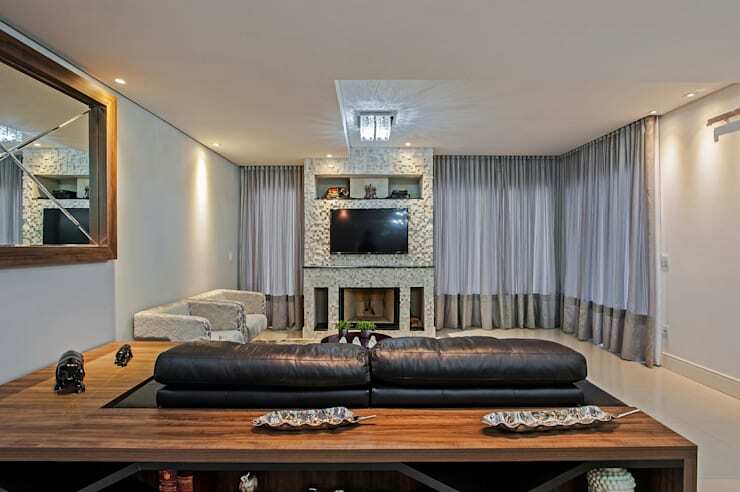 Doesn’t that stone-clad fireplace, against which the TV is mounted, make for a fabulous focal point? Even something simple as a piece of toast will be eaten in style at this glamorous dining spot. A black polished dining table stands out most impressively among the glittering whites, while its surrounding chairs complement its jet-black shade beautifully. And what is style without a natural touch? Delicate orchids, in a striking lilac, mark the centre of the table, while an elaborate chandelier adds just the right amount of sparkle to this fantastic space. As we said before: not your typical suburban house. 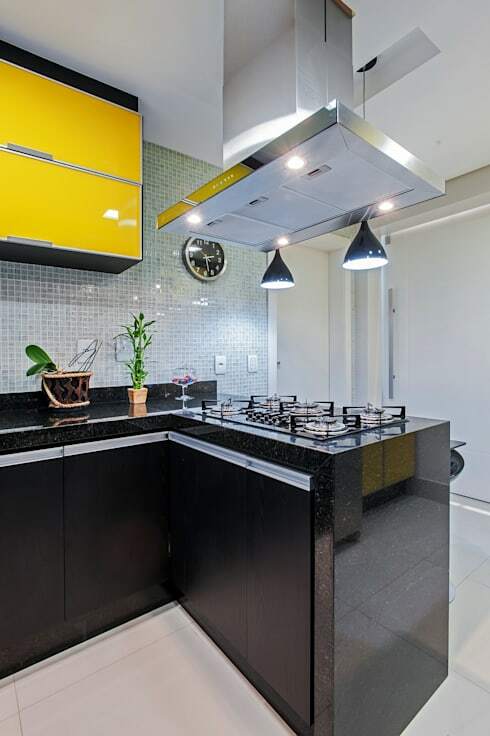 Taking another colourful turn is the kitchen, where we are treated to a cheerful yellow that adorns the top cabinets. These tones stand out most fantastically against the silvery, pristine canvas that rules the kitchen, helping to inject a bit of fun character into this culinary space. The results are in – take a look at these: Kitchen accessory must haves. If you thought that a private area, such as the bathroom, wouldn’t flaunt the same look of lavishness as the public rooms, you were greatly mistaken. 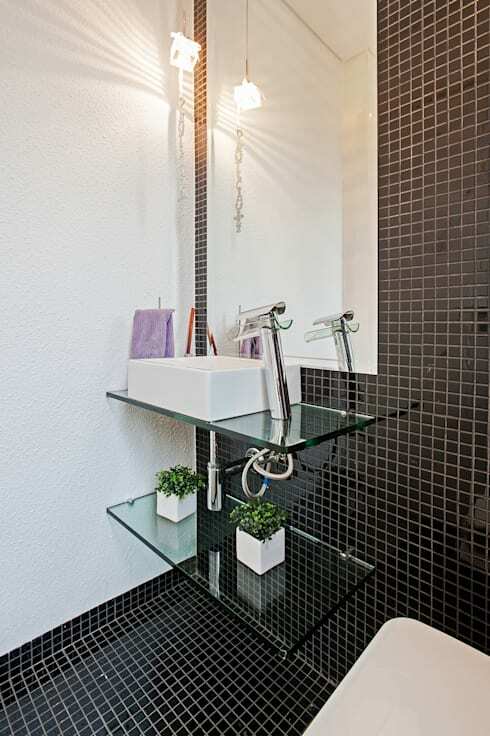 Adding some classic style into this modern room, the retro tiles in a black shine, along with the crystal-clear glass shelves, up the elegance factor superbly. Less is most definitely more here, as the handful of decorative items is just enough to dazzle us, yet leave enough space to make us appreciate the finer touches of the interiors. Is this house not just the ultimate piece of luxury hidden away in the suburbs? Need a professional touch? Then see our stylish range of interior designers and decorators here on homify.